For years, though, I think I missed the heart of these verses. I had this idea that if I could only find the sweet spot of submission to God, I would hear him clearly enough to get his game plan for my life. I assumed that God had my five-year plan ready and waiting for me to humble myself and discipline myself before him, and that, if I could just be the Christian he wanted me to be, I could receive his list of goals and mile-markers for my life. The problem, though, was that I could never find that elusive “sweet spot.” Even at my best, I was painfully aware of my flesh’s pull. 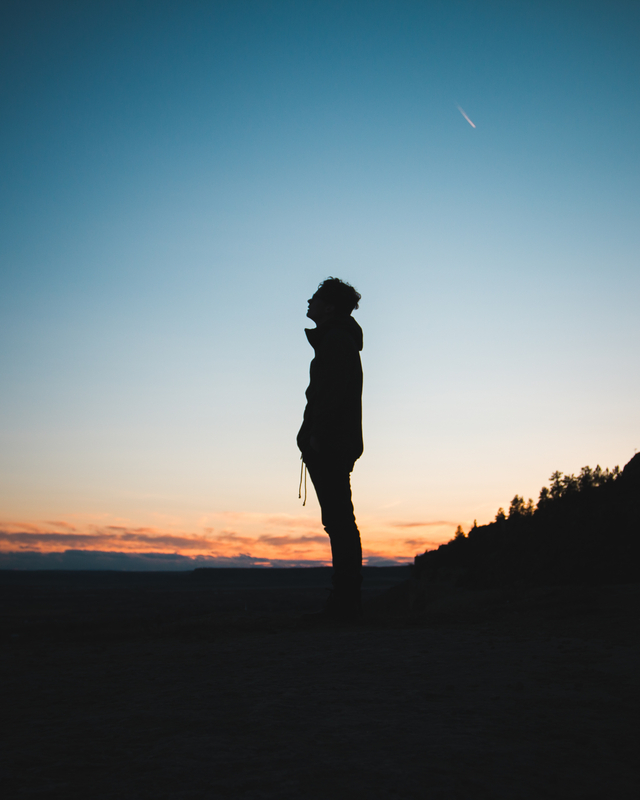 And even when I found myself disciplined in my pursuit of holiness and focused in my gaze toward God, I still never received that five-year plan. In fact, I often found even the next step to be unclear, despite my prayers for clarity. Through all of this, however, I still noticed that God was guiding me. He was indeed making my paths straight, often opening and closing doors in ways that I couldn’t comprehend in those moments. What I concluded was that God probably isn’t in the business of handing out long-term life plans to his people. Though there are definitely instances in Scripture where God tells people what he plans to do (Abraham and Moses being two major examples), he often seems to call his people to simply trust and obey. He has proven himself throughout history, showing us time and time again that he is faithful and powerful and good. Those of us who believe in Jesus and follow after him know God’s power to change lives as we are being molded by him daily into the image of Christ. So, though he may not give us a detailed look at our futures, he is sufficient to keep us through whatever lies ahead. Yesterday, a buddy and I were talking about our futures. Though we each have ideas of what God is doing in our lives, neither of us knows exactly what the next few years will hold. But rather than worrying about what we do not know and cannot see, we trust that God will continue to make the steps clear as we follow after him. The beauty of this model is that it keeps our eyes on him. We trust that God is with us through whatever we face in this life as he leads us to our eternal home with him, “ for we walk by faith, not by sight” (2 Corinthians 5:7). 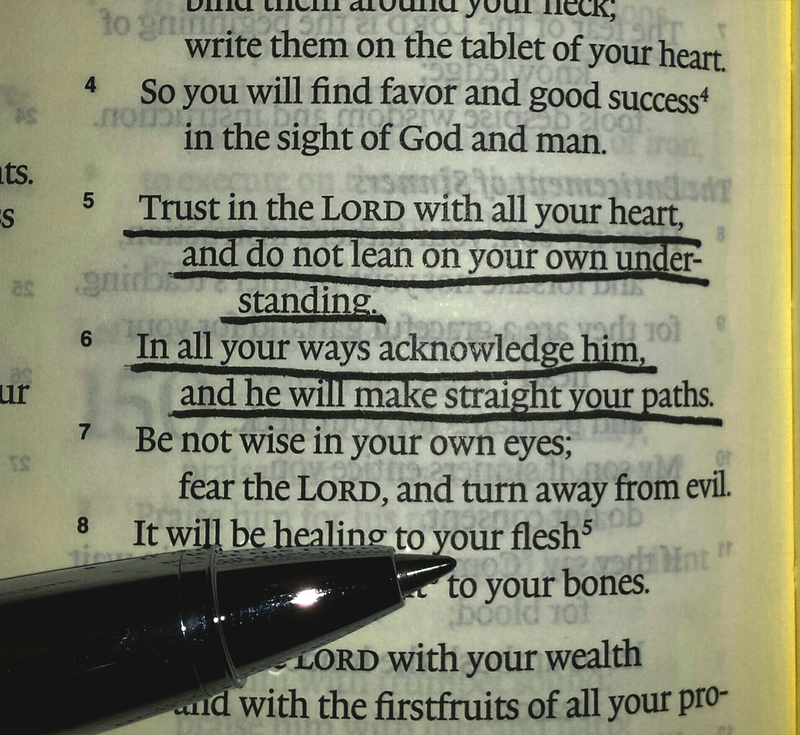 Proverbs 3:5-6 is by no means a false promise, for God always directs his people in the way they should go. But the journey seems to be one of a continual trusting and obeying rather than a one time download and pursuit. Granted, this doesn’t mean that planning is wrong. I do believe that God wants us to be good stewards of the time and resources he’s entrusted to us. But we must always remember that we are completely, moment by moment, reliant upon him. Let us, then, be people of faith, trusting the Lord with what he has not yet revealed and showing the world around us the beauty of God’s grace. Great point and one I needed to hear today. Thanks for sharing! Thanks for reading! Glad it could encourage you!